An autumn/winter soup this–with a big presence. 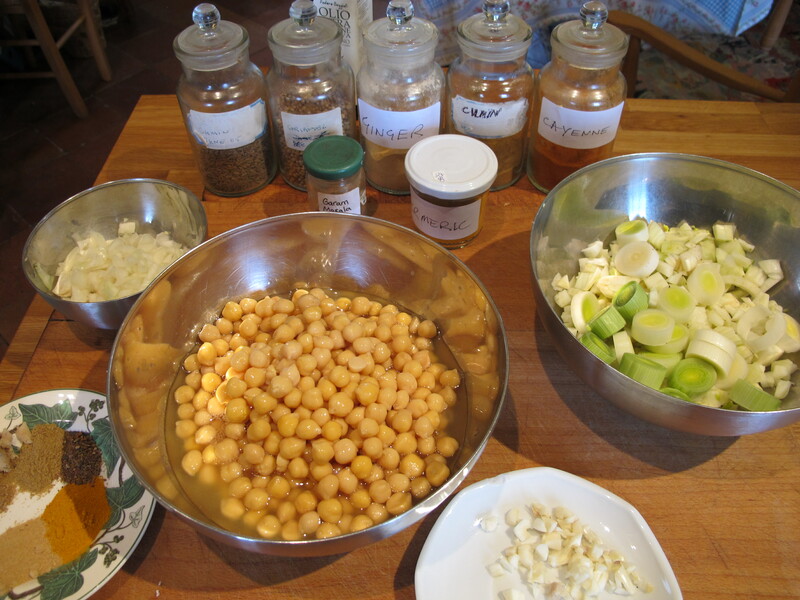 Adapted from Leslie Forbes’ lovely book A Table in Tuscany. 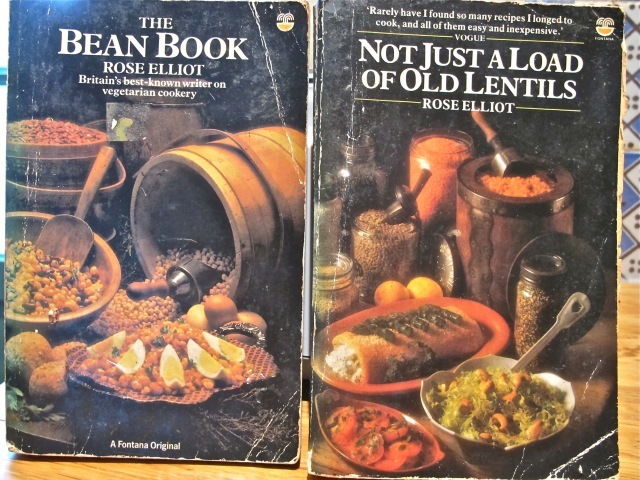 In the early eighties she had the bright idea of eating her way round Tuscany’s restaurants and watering holes–an arduous task to set oneself. 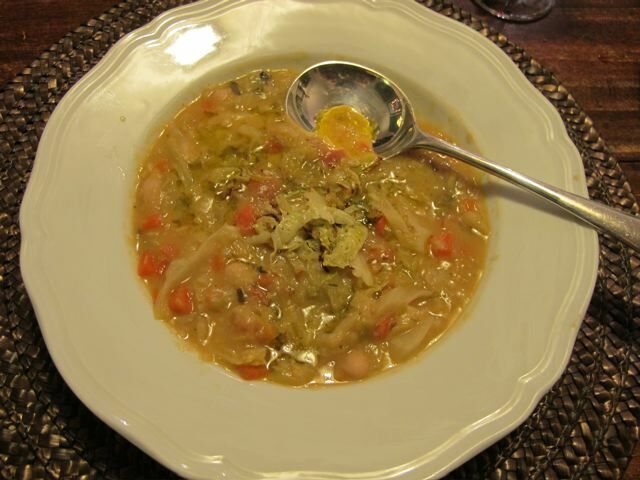 This soup–one of the best bean soups in Tuscany—she credits to the restaurant of the Fattoria dei Barbi near Montalcino and the unnamed English cook, married to an Italian, thus providing the important advantage of a Tuscan mother-in-law! This is 25 years ago mind–things have a habit of changing. The book remains a gem (used copies available on Amazon for a penny!). 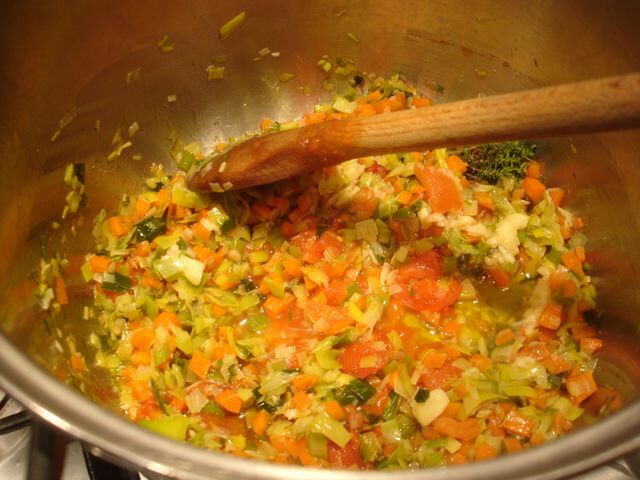 Heat the oil in a large saucepan and sweat the celery, leeks and carrots until they are tender–about twenty minutes. 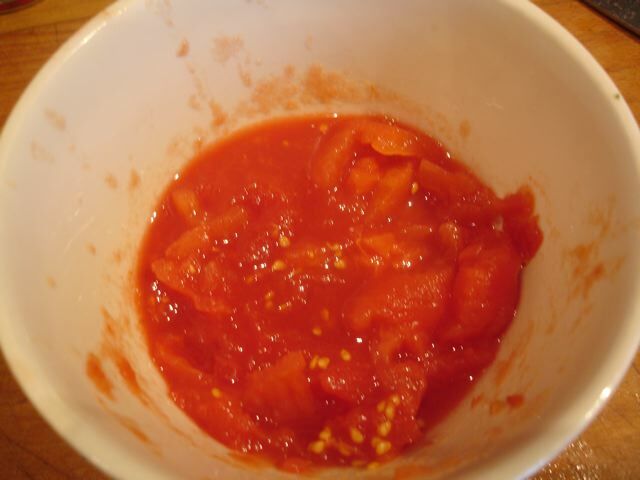 Mix in the tomatoes, garlic and thyme and let them cook on for five minutes. 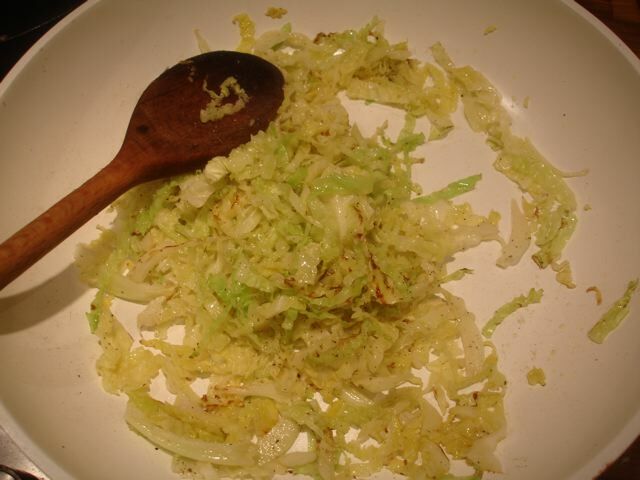 Add the cabbage, season with salt & pepper and cook on for ten minutes. 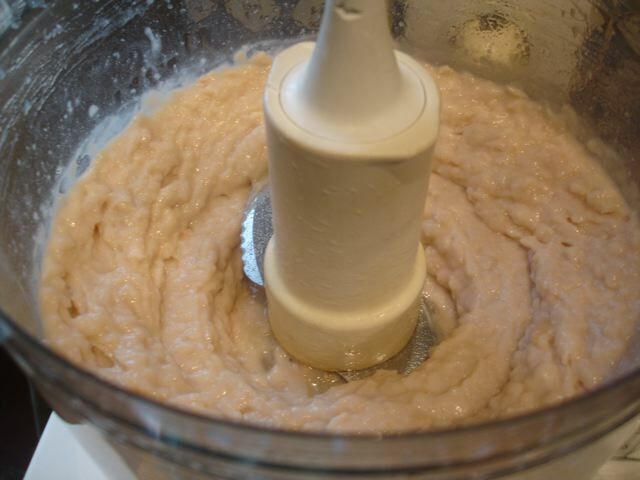 Purée three-quarters of the beans in a mixer with a little of their liquid. 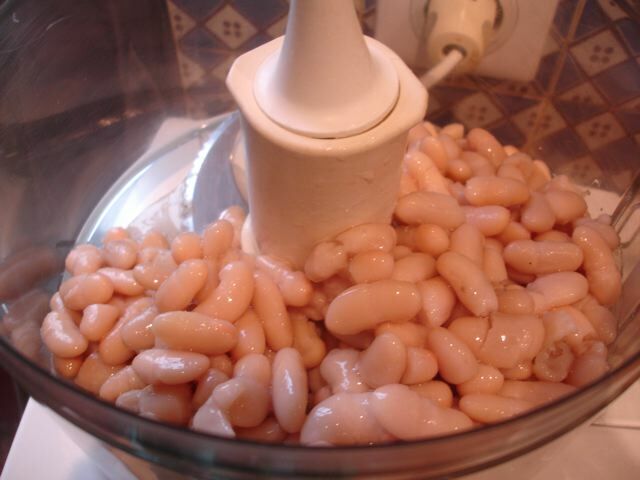 Add the bean water and the bean purée and stir it all together. 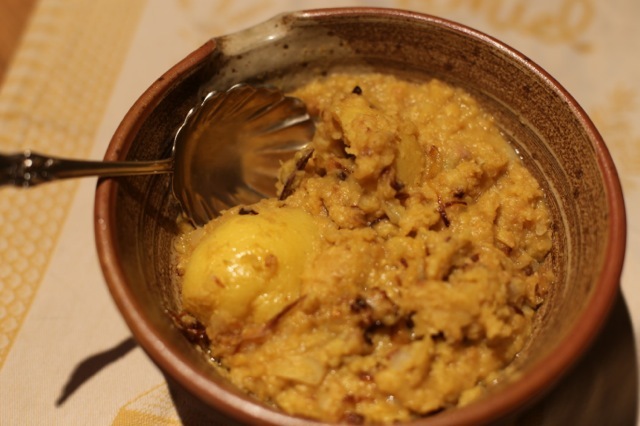 Cook this thick mix for an hour–stirring it regularly to stop it sticking and burning. 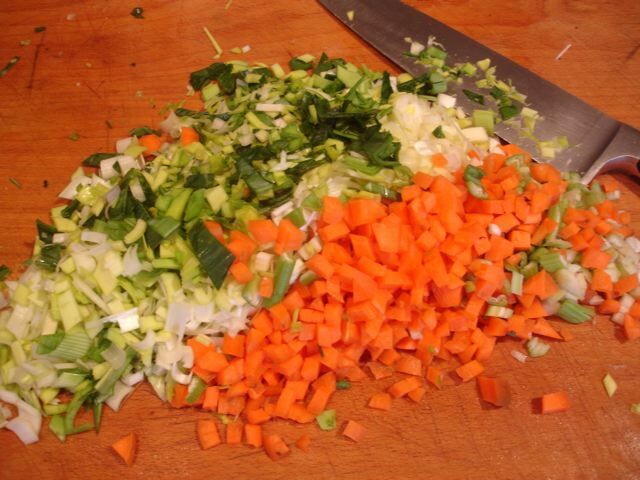 Add a little of the stock each time you stir it. 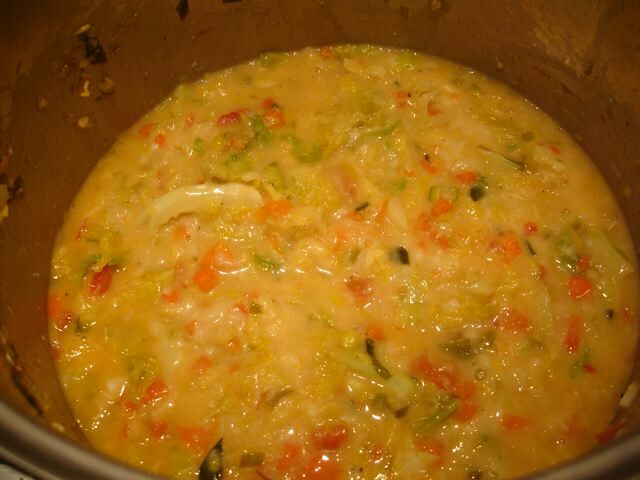 This is meant to be a thick soup–up to you how loose to make it–just be careful not to dilute the depth of taste. 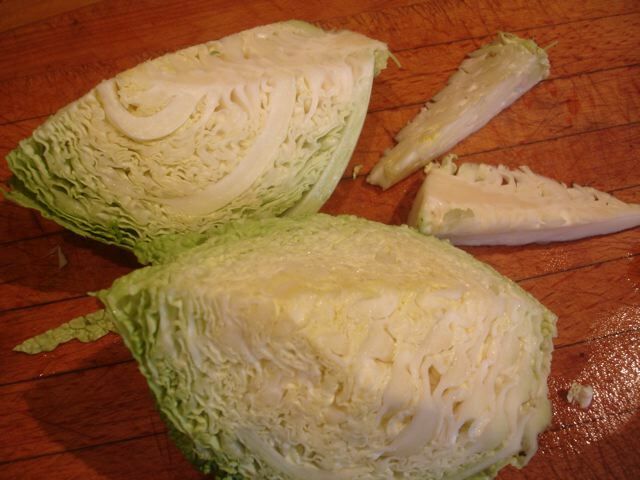 While the soup cooks on sauté the rest of the cabbage to serve as a topping when you present the soup. 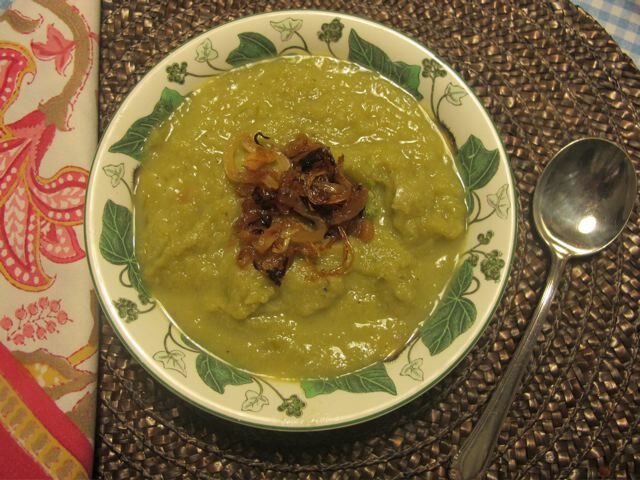 Keep tasting the soup as you go (you may find yourself doing that anyway!). 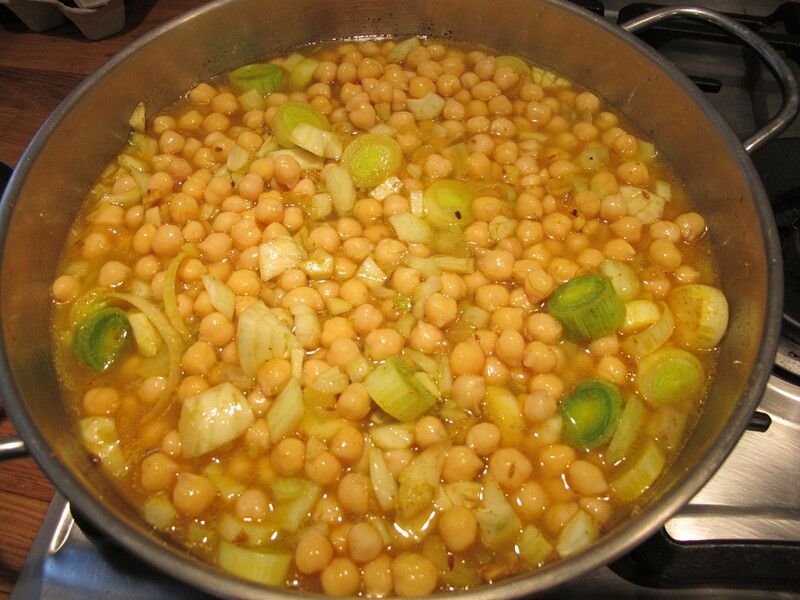 Serve with a drizzle of good quality olive oil. 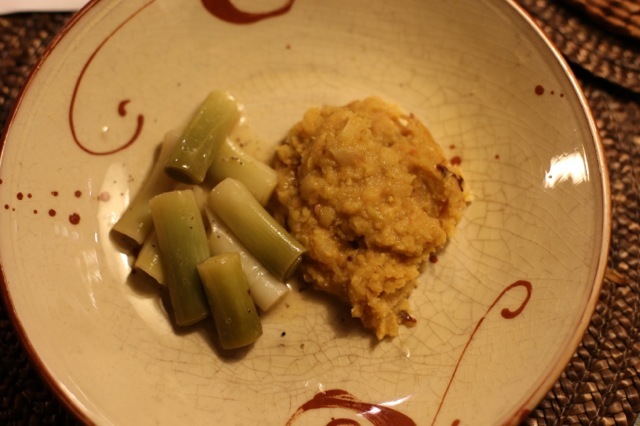 Sonia, our green-fingered friend, brought us leeks from her vegetable garden yesterday. Welcome gifts arrive from time to time all the year round. Much appreciated. She was here to do the Wednesday Chi Gong class, which has temporarily moved to our converted hayloft during the cold weather, as the room–where it’s usually held–is difficult to heat. Life is never dull in our bit of rural France! 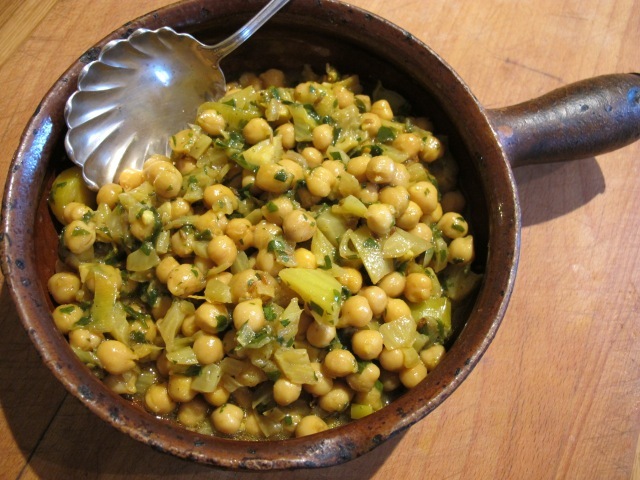 The recipe is adapted from the River Café Pocket Books Salads and Vegetables Pocket Cookbook. 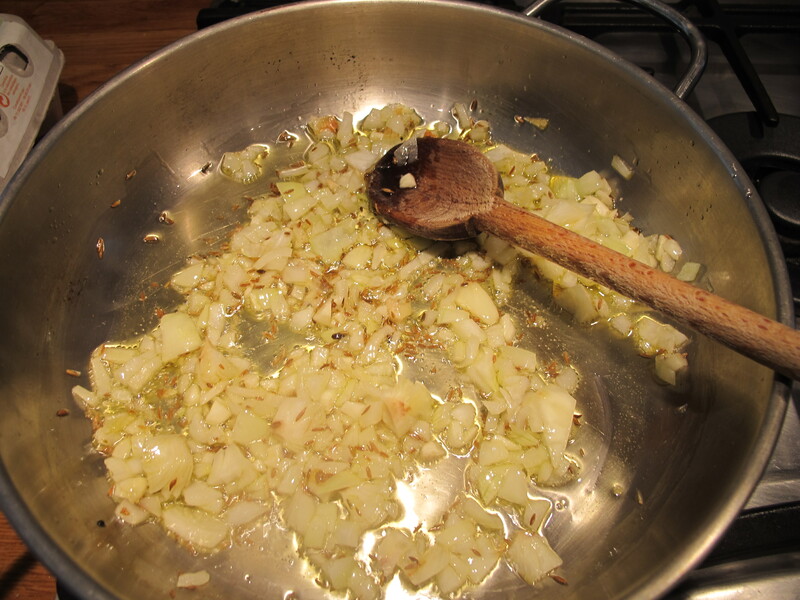 1.Tie the leeks together with a piece of string, and blanch them in salted boiling water for 3 minutes. 2. 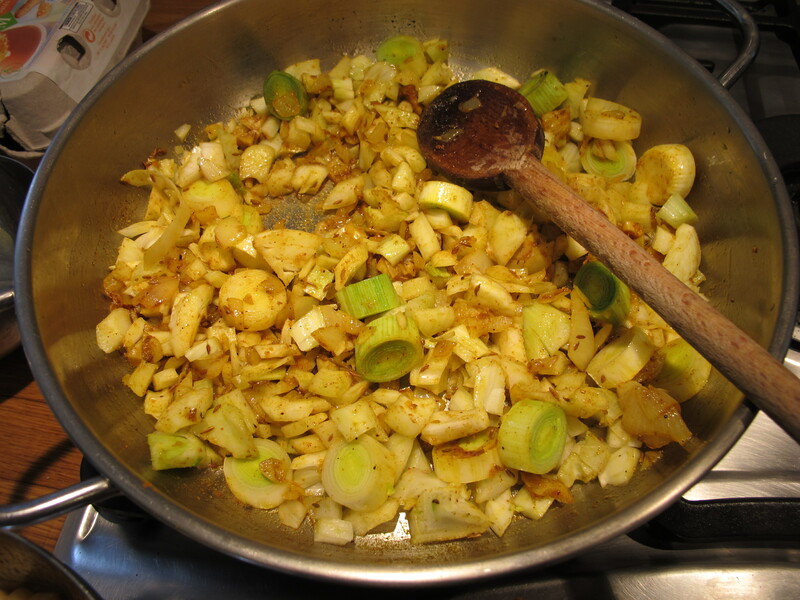 Remove from the pan, carefully squeeze out the excess water and leave them, cut side down, to dry on kitchen paper. 3. Heat a griddle to hot. 4. 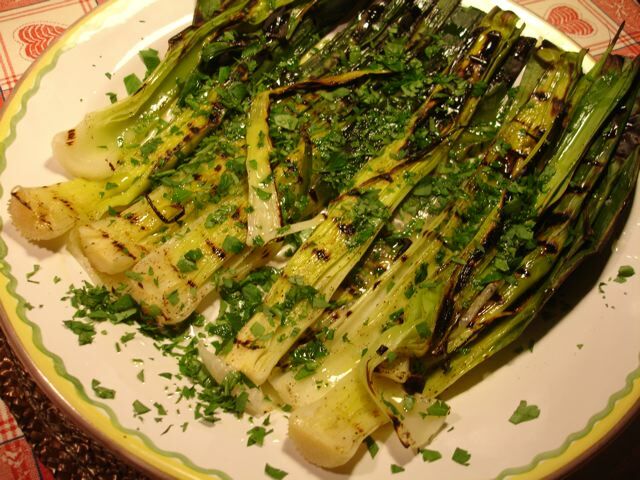 When the leeks are dry, season them and place them, cut side down, on the griddle. 5. When they are nicely griddled (should take about three minutes), as below, turn them over and grill for a similar amount of time. 6. Transfer to a serving plate and with a pair of kitchen scissors cut them into threes, which makes them easier to eat. 7. 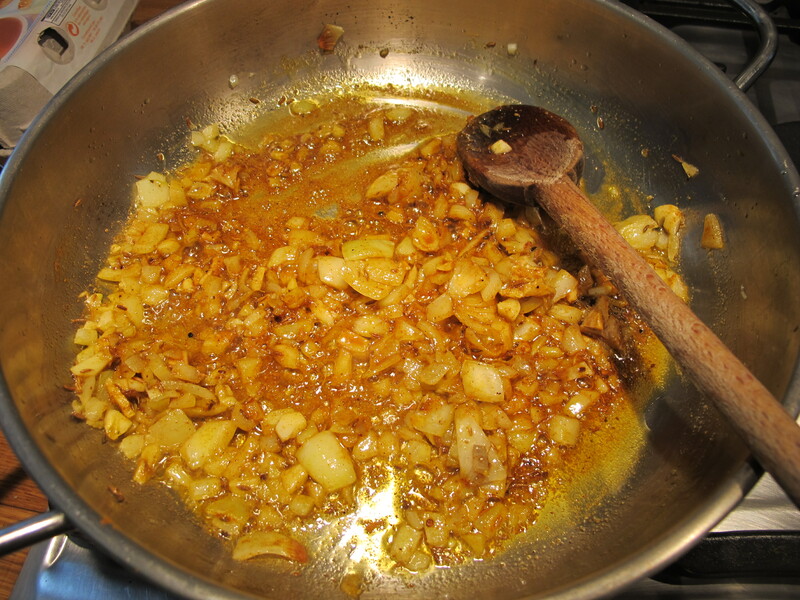 Sprinkle over the thyme; then drizzle with lemon juice and olive oil and season to taste with salt & pepper. 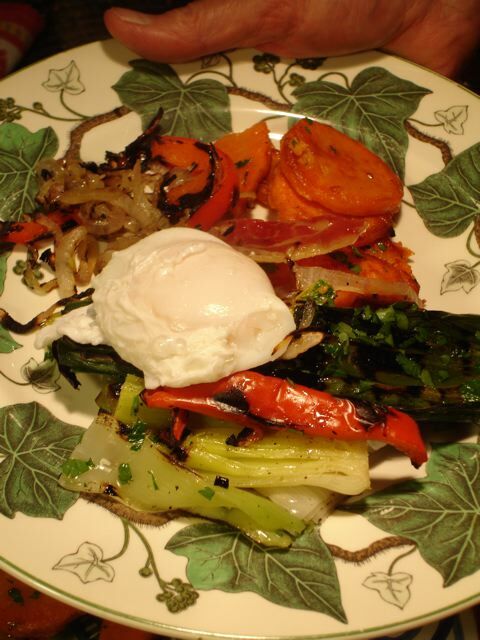 I served them with other grilled vegetables and an egg on top. They were delicious.